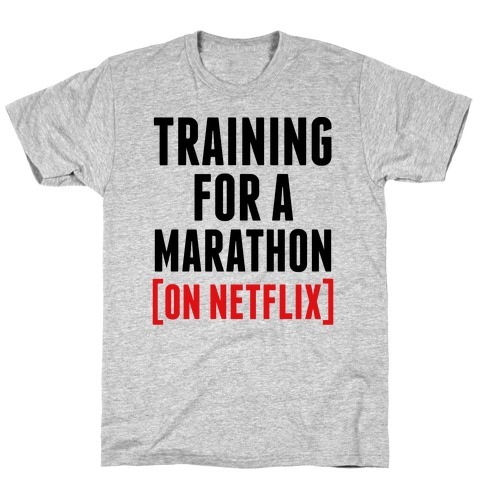 Browse our collection of 169 Marathon T-Shirts and more. Designed and printed in the USA. 100% Satisfaction Guaranteed. 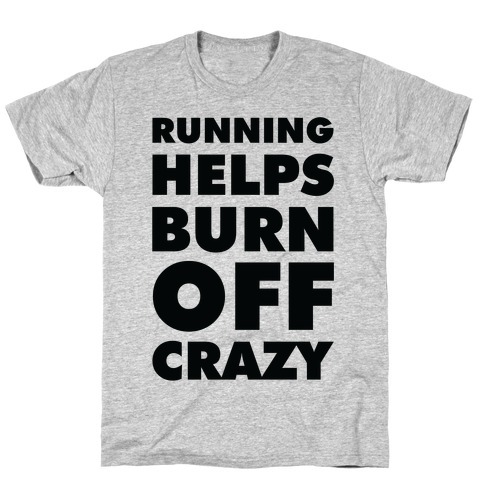 About this Design This , sporty shirt features the phrase "if marathons were easy they'd be called your mom" and is perfect for training for running a marathon or half marathon! 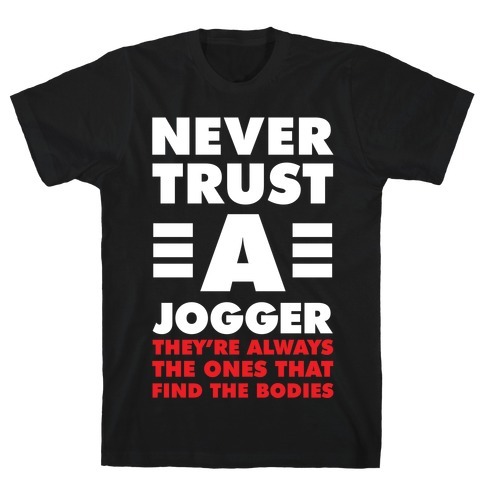 Ideal for the gym, running, jogging, training, and getting fit! 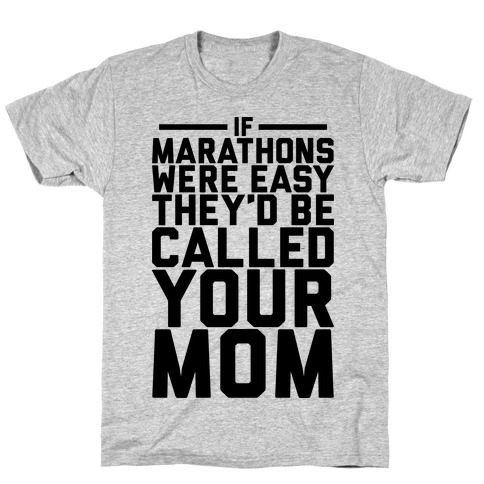 This , sporty shirt features the phrase "if marathons were easy they'd be called your mom" and is perfect for training for running a marathon or half marathon! 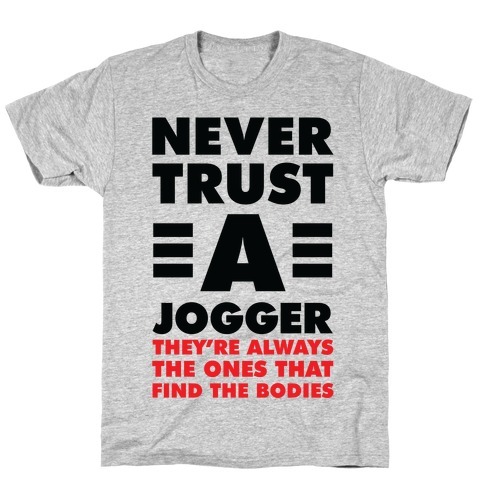 Ideal for the gym, running, jogging, training, and getting fit! About this Design Seriously I just ran a marathon, but you didn't see me do it because I'm Quicksilver. 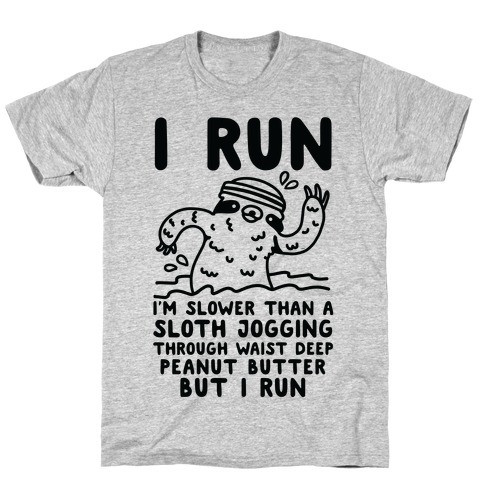 Show off your speedy mutant running skills with this nerdy, humorous and athletic design! 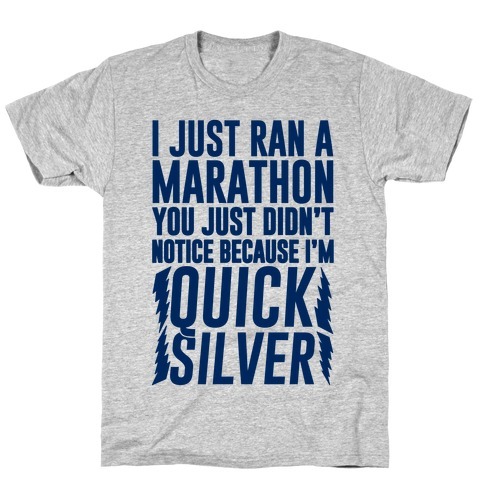 Seriously I just ran a marathon, but you didn't see me do it because I'm Quicksilver. 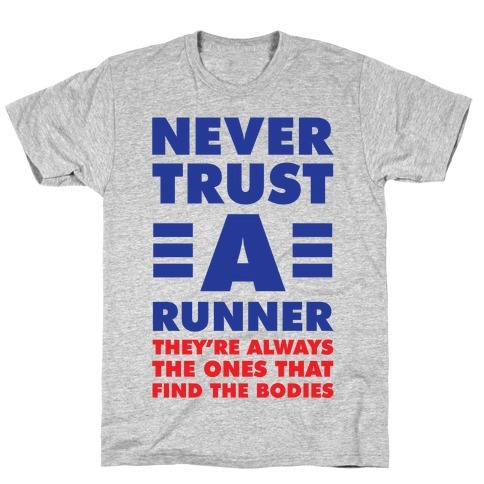 Show off your speedy mutant running skills with this nerdy, humorous and athletic design! About this Design "Run a marathon" they said. "It'll be fun" they said. Well I've got to run 26.2 miles for a free banana and I don't think I'm gonna make it. 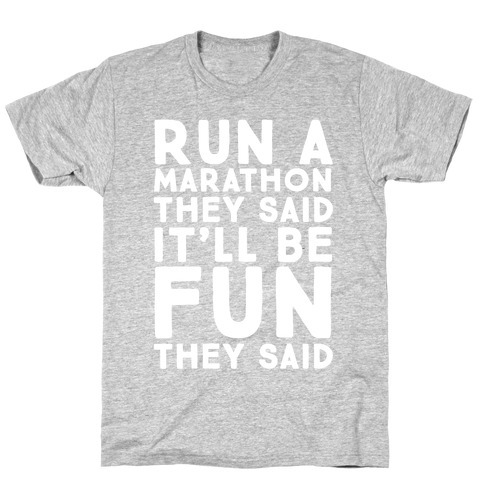 At least they'll know it wasn't my fault if they read my marathon shirt while I've passed out at the finish line. "Run a marathon" they said. "It'll be fun" they said. Well I've got to run 26.2 miles for a free banana and I don't think I'm gonna make it. At least they'll know it wasn't my fault if they read my marathon shirt while I've passed out at the finish line. 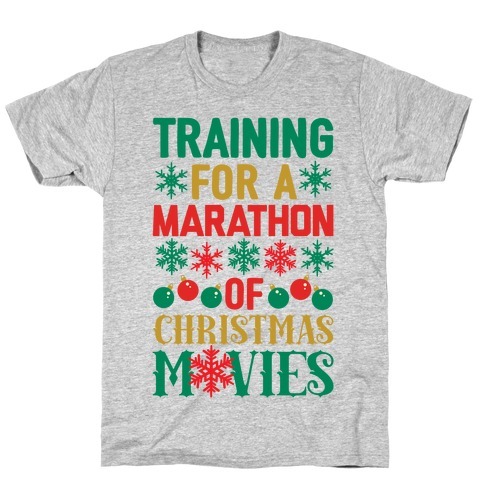 About this Design This marathon shirt is great for all the runners and marathoners who actually hate running and would prefer a good jog instead like they're "training for a half half half half marathon." 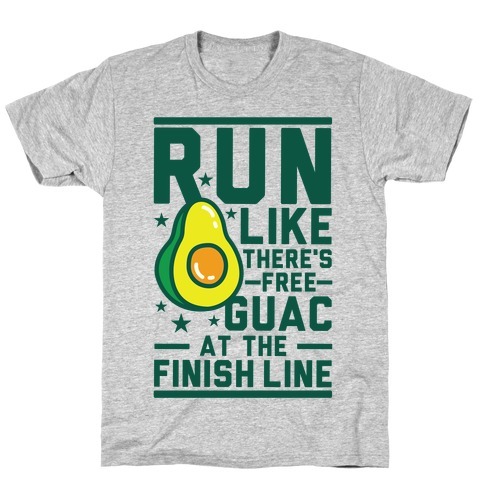 This fitness shirt is perfect for fans of running , running shirts and fitness . 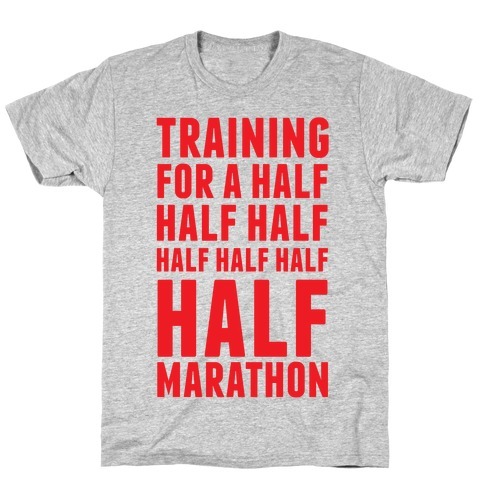 This marathon shirt is great for all the runners and marathoners who actually hate running and would prefer a good jog instead like they're "training for a half half half half marathon." 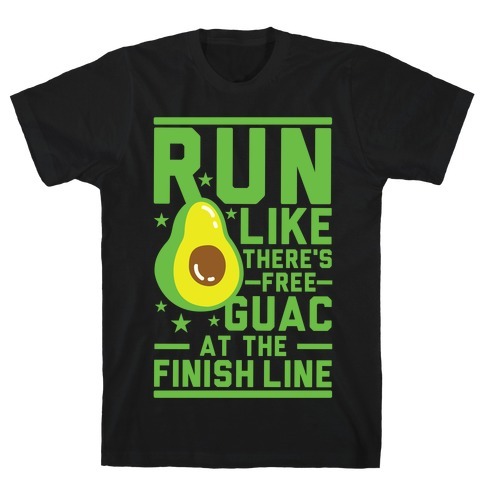 This fitness shirt is perfect for fans of running , running shirts and fitness . About this Design Like the second best reason to run cross-country is getting to load up on carbs before a race. 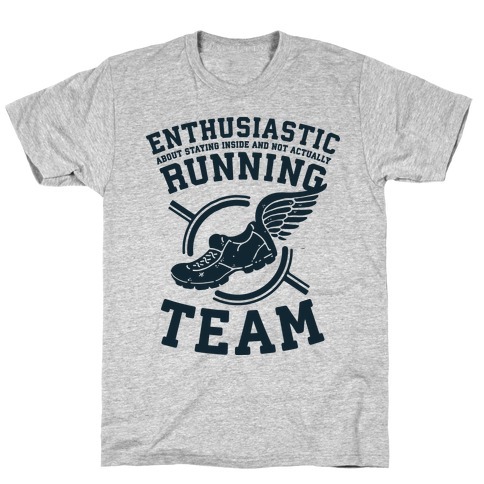 Pasta is the best running food there is, before AND after a race, so show off your speed and endurance as a long distance xc runner with this awesome cross country shirt! 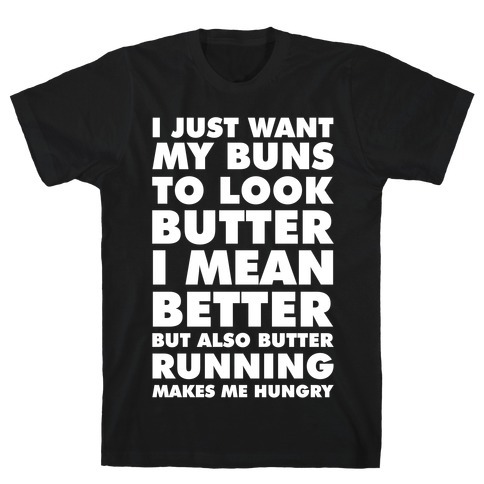 Like the second best reason to run cross-country is getting to load up on carbs before a race. 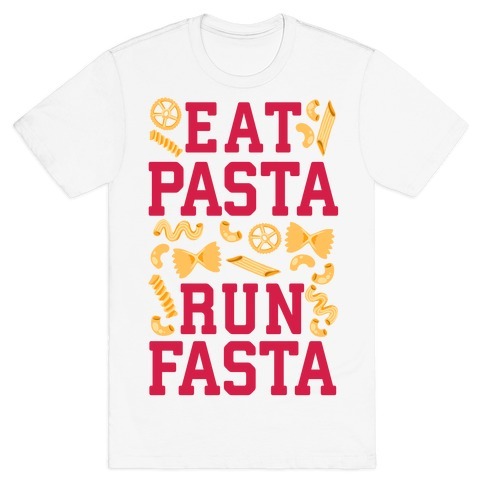 Pasta is the best running food there is, before AND after a race, so show off your speed and endurance as a long distance xc runner with this awesome cross country shirt!